We caught the action on a flop of all hearts, reading . Jon "Pearljammer" Turner bet out 2,400, and he got calls from Elio Fox on the button, and Matt Glantz, who was under the gun. The turn came the , and the sparks starting flying. Turner bet out 6,900, and Fox called again. This time, Glantz moved all in for 11,150 more, and it was back to Turner. He shoved all in, having both players covered, and Fox snap called for the rest of his stack! All three clearly had big hands, but when the cards were tabled, we saw that Fox had the best of it. "Pair the board!" Turner asked the dealer, and sure enough, the slammed down on the river, giving Turner eights full of kings. 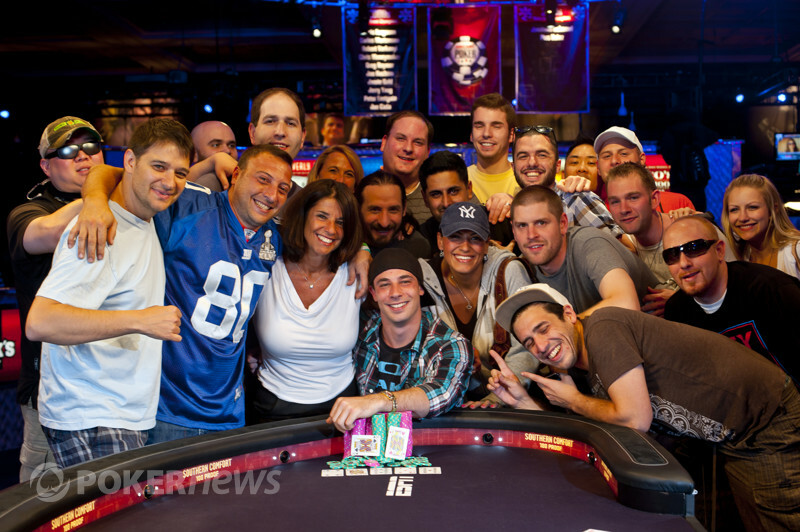 Turner scored the massive double knockout, while Fox and Glantz headed to the rail.